To the attention of the citizens! To monitor the readiness of passport has become easy! Chatbot is a new online service of the State Migration Service of Ukraine to help you to do this. The service is available in the popular messengers such as Telegram and Viber. 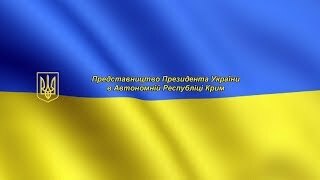 Оn 12 April 2019 a first meeting on entrance campaign 2019 was held in order to resolve issues regarding the entrance of secondary school leavers and persons from the temporarily occupied AR of Crimea and Sevastopol city to the higher and professional educational establishments of Kherson region. On 10 April 2019 the First Deputy of the Permanent Representative of the President of Ukraine in AR of Crimea Izet Hdanov met with the monitor officers of the OSCE Kherson team. From 7 April, the citizens of Ukraine can apply for a temporarily change of their voting address in the second round of elections of the President of Ukraine, held on 21 April 2019. You can change your electoral address until 15 April inclusively, but not later than five days before the Election Day. The procedure is the same: the voter should apply to the relevant regional State Voter Register administration body for a temporarily change of his (her) electoral address, indicating polling station or address he (she) wishes to vote.. According to the head of the Central Election Commission of Ukraine Tetyana Slipchuk in order to “improve and accelerate” this process, the relevant regional State Voter Register administration bodies are going to work during the weekends as well. The occupying authorities in the peninsula regularly show their powers by spreading manipulating and fake information. This time it is about the visits of numerous “international delegations” to the temporarily occupied territory of AR of Crimea in violation of the sanction regime and the law of Ukraine.